If you have been following along recently, it is probably quite obvious that I am passionate about teaching children to cook. When children cook, they are able to learn the skills that will help them to make healthy food choices. These are skills that will last with them for a lifetime. My children are quite spoiled with video games, dolls, clothes, and fancy shoes. That doesn’t mean anything compared to the gift of cooking that I hope to give them. Now that………..is really a gift worth giving! I take my children to the grocery store and we look at labels. We talk to farmers at the farmer’s market. We discuss why we eat certain foods and not other foods. I try not to beat them up with all this information, but it is repeated quite often. Last night at softball, my daughter chose a blue drink over a red drink because she had heard that Red40 is a carcinogen. I would certainly prefer she drank water, but my point is………she made the best decision she could based on the information she had. I think that most children will do that. They just need to have the information to make healthy decisions for themselves. 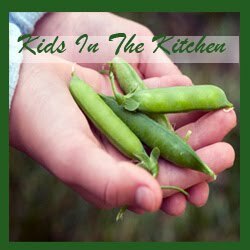 Now……….for the 5 Things I Learned About Cooking With Kids From Food Revolution Day. 1. Cooking is fun! We had a blast cooking with the girls at Food Revolution Day. It was a long process to make pasta from scratch, but there were giggles and smiles the entire time. 2. Cooking lessons can be started at a very young age. 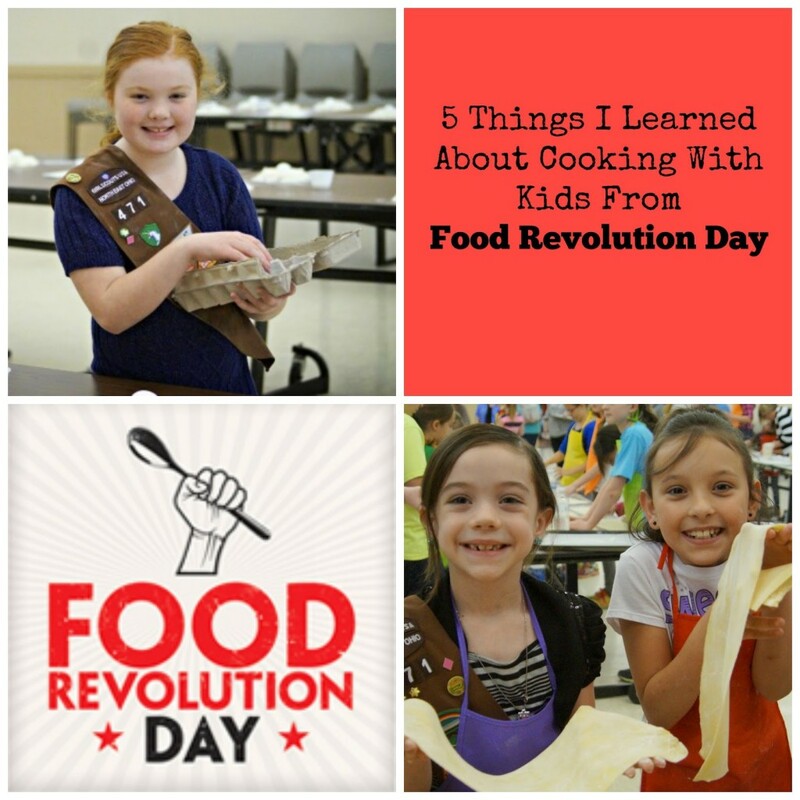 We had girls as young as 5 cooking with us at Food Revolution Day. 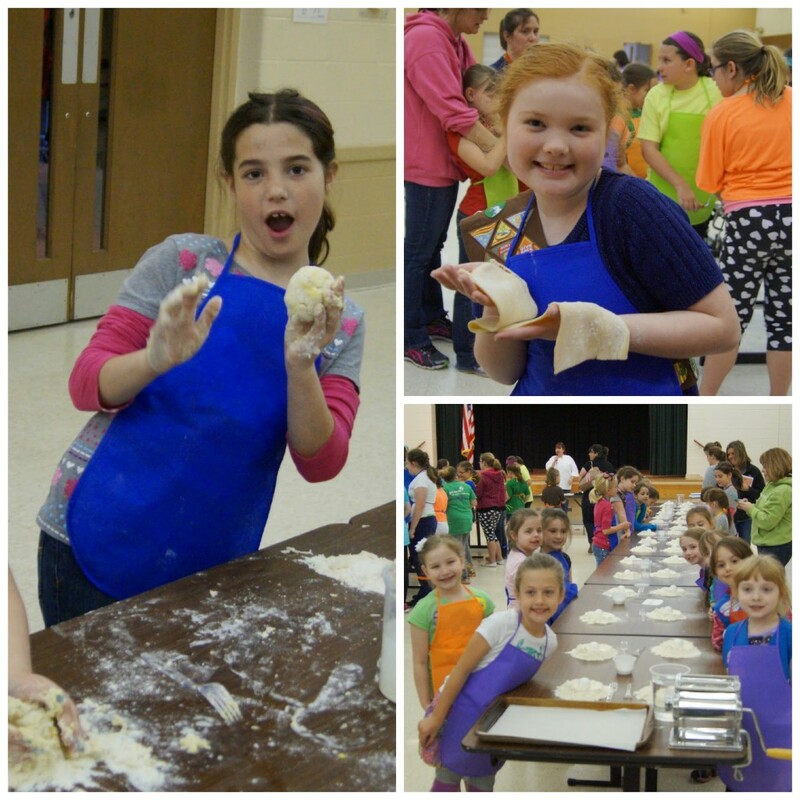 I was amazed at how the little ones were able to prepare the pasta dough as well as the older girls. We had plenty of adult supervision, but these girls were really making pasta. Tearing lettuce, stirring bowls…….there are lots of tasks children even younger than 5 can do. The best part……..teach them young and they can be a real help to you at mealtime. I was hustling to get dinner to the table one night recently, and my daughter came to me and asked if she could make the salad. Wow! That was a huge help to me. 3. Children CAN make complicated recipes with supervision. Making homemade pasta only has 4 ingredients, but there are plenty of steps involved. The girls did not shy away from working on each step. With the younger girls, I expected there to be some issues with attention spans. After all, this was a 3 hour session. I noticed that any attention issues were easily handled and each girl was able to complete her homemade pasta. Start with simple recipes, but don’t be afraid to let your children help with the more complicated recipes as well. 4. Children will more readily eat food that they cook. Let’s face it………kids are picky. Even kids who claim to not be picky like food that is familiar to them. This is one of the reasons that McDonald’s is so successful. Their food looks the same no matter if you are in California or Ohio. I was blown away when the girls all readily ate the pasta that they had made. We had a few who didn’t want sauce, but they all tried the pasta. I didn’t hear one complaint. I wonder what else they would eat if they prepared it? Vegetables, maybe? 5. Children are genuinely interested in what they put in their bodies. Our Food Revolution Day event included a short lesson on label reading. We read a store-bought guacamole label which had a long list of ingredients. I asked the girls if they would want to eat some of the chemical ingredients? They did not. Very loudly they told me they did not want to eat chemicals. They all seemed to prefer whole ingredients with names they could pronounce like avocado and lemon juice. I was surprised by how much they really did care about ingredients. Food Revolution Day was a day of fun, but it also showed me how much fun cooking with children really is. It was so much fun to share the day with these girls and I look forward to cooking with them again in the future. I encourage you to pick a fun recipe and head into the kitchen with your junior chefs. Have fun creating delicious dishes, fun family memories, and being an advocate for healthy food for your family. What is the most complicated dish you have cooked with your kids? When did you start to cook and who taught you? Tell me a story of cooking with your parents or grandparents. 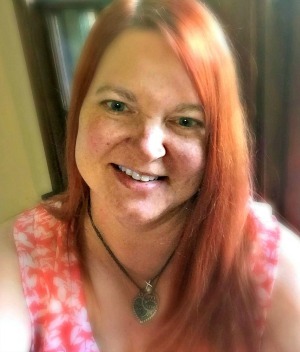 Great post and it looks like you had such a wonderful time! I find that kids make everything so much fun!